Time and again, we hear back from readers looking for a healthier lifestyle overseas. So in this year’s Annual Global Retirement Index, we’ve added a Healthy Lifestyle category. Finding a healthier retirement abroad is a key consideration for many expats. And while many countries on our beat scored strongly in this regard, Costa Rica earned top marks. “We eat food with a lot less preservatives. The water doesn’t have fluoride in it. We walk a lot more and get more fresh air. It’s been great for our health,” says expat Rob Evans. Rob has lost 50 pounds since moving to Costa Rica’s Central Valley with his wife Jeni in 2014. You can live a healthy lifestyle in many of the top 23 havens featured in this year’s Global Retirement Index. In countries like Nicaragua, Panama, and Ecuador (who were runners up in this category), you’ll find plentiful fresh air and produce. “The great climate, fresh air, fresh food, and walking two to six miles a day has greatly improved our health,” says Denver Gray of his new life in beach-town Ecuador. See below for more on the top four countries in the world where you can enjoy a healthy lifestyle. 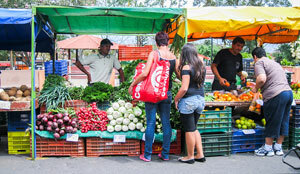 In Costa Rica, a couple can fill their fridge with fresh fruit and vegetables for less than $30 a week at the feria. Many expats report losing 30 to 40 pounds in their first year in Costa Rica. It’s a great perk of expat life. But what’s the cause? Two reasons: they are more active and they have a better diet. It’s all part of the healthy lifestyle you can easily adopt if you move to Costa Rica. Warm weather year-round allows you to exercise outside any day of the year. And there is no shortage of outdoor activities. 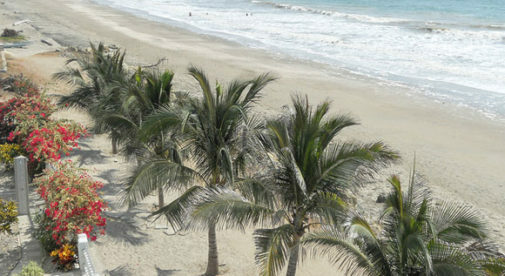 You can walk or hike on the beach, in the jungle, up the side of a mountain, through your neighborhood, or around town. You can also ride your bike (this is how many expats get around many beach towns), surf, kayak, and stand-up paddle board. Most expat communities also have gyms, with affordable membership fees, not to mention personal trainers, yoga teachers, and other fitness instructors. A big benefit of staying active in Costa Rica? You’re always surrounded by the country’s natural beauty. The second part of the healthy lifestyle in Costa Rica is the diet. You can’t help but eat better when you have such good access to fresh fruits and vegetables, including lots of natural produce. You can get things you know from North America: broccoli, lettuce, kale, onions, and more. But there are also unfamiliar tropical fruits and veggies to enjoy: chayote (similar to squash), camote (a white sweet potato), guanabana (a sweet fruit usually made into smoothies), and more. At my favorite market in Panama, people are buying bags of rich dark potting soil, exotic fruit, colorful plants and flowers, and a whole lot more. This month, mouth-watering watermelons are being diced up and added to pineapple, papaya, kiwi and more for $2 a tub. Bags filled with blood red rambutan are $1 for about two dozen. The hard, spiky exterior hides a soft, pulpy flesh. I often put these in a bowl on my dining room table…an edible centerpiece. An abundance of inexpensive fruit is just one of the perks of living in Panama. I hardly ever ate fruit when I was living in the States. Sure, the grocery stores were full of options…they carried everything imaginable. But in Panama fresh fruit (and vegetables) are more accessible than fast food and quick meals. You can enjoy up to 300 sunny mornings a year in Panama, making it easy to have an active lifestyle outdoors. Fish and seafood are also incredibly easy to come by. Many of my friends now eat more fish than any other protein, because it’s so good and fresh. The great food is part of the reason why so many expats say their health improved after moving here…with little effort on their part. I’ve had people tell me their blood pressure dropped by as much as 10 points. No special diet, just life in Panama. Add to that something like 300 sunny mornings a year, vast national parks and preserved rainforests, and two coastlines just beckoning with water activities like surfing, paddleboarding, snorkeling and more. People here live life outdoors…and often that means a bit less time spent sitting in front of a television or computer screen. When moving abroad, people often think about the lower cost of living, healthcare, and what they’ll do first in their new county…but there’s a huge benefit that most don’t consider. 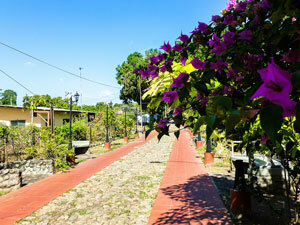 In Nicaragua you’ll live a much healthier lifestyle, almost by default. To begin with, you’ll find yourself walking a lot more. Since most local people don’t own cars, Nicaraguan cities are a walker’s paradise. With that comes an efficient public bus system, shuttle and taxi services. 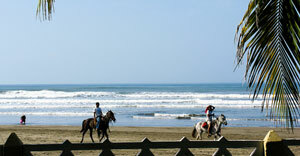 There’s no need to own a car in Nicaragua as it is a natural walker’s paradise. Grabbing a lift from a horse can just be for fun. You’ll eat better in Nicaragua, too. All the produce you buy from the farmers in the central marketplace of any city is natural. The oranges may not be as plump and bright orange as you are used to (from the chemicals that make them that way), but they are ripe and fresh from the tree and the sweetest oranges you’ll ever have. The same goes for meat and poultry products. Cows, chickens, and pigs walk around wherever they feel like it—real free-range—and you’ll taste the difference immediately. And fresh fish caught the same morning costs between $3 and $4 a pound. “You won’t find better weather anywhere in the world,” said a friend after his visit to Ecuador. And he’s right. Imagine…being right smack dab on the equator but with elevations ranging from sea level to 14,000 feet above. The local produce you’ll get at a typical restaurant in Ecuador is as healthy for your pocketbook as it is for your body. 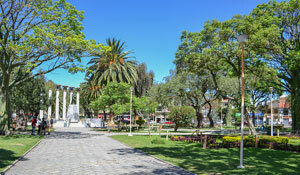 Thanks to this ideal climate, you’ll spend a lot of time outdoors in Ecuador. Walking is a pleasure and there’s no doubt you’ll put more miles on your hiking shoes than you ever thought possible. Most expats, in fact, don’t own a car, preferring to walk about their daily errands and to visit friends or attend cultural events. The beautiful scenery is a plus…from the sparkling blue Pacific Ocean to the majestic Andes Mountains and everything in between, including the spectacular Amazon basin on the eastern side on the Andes.